So I finally got a house I could brew in and he got me started. The next day one of my buddies and I rolled down to the homebrew shop to buy all the equipment. I think the recipe was a winter warmer… the Sam Smith recipe out of the book Clone Brews. We threw that together, then my buddy and I just started home brewing a bunch. It became a really relaxing hobby for me, part of my lifestyle. A relaxing way to spend an afternoon or evening just to cool down. Shortly after that we were focusing on making beers that we couldn’t buy. That’s where my experimentation bug caught on. During that same time O’Hooley’s was going under and the main brewer had left. So nobody was brewing and there just wasn’t any money. I was still working there but we weren’t getting a paycheck. It was a pretty ugly spot. One of my buddy’s who had a bagel shop in town expressed an interest in getting into the bar business. I said “You should look into O’Hooley’s because it’s going under.” He had my home brew before, I would take corney kegs over to his parties and tap those up. He ended up purchasing O’Hooley’s around the same time I was finishing up my creative writing degree at OU. He said if I wanted to stick around he would get me trained and I could be the brewer. I didn’t have to think twice about that! This was in late 2005 when the ownership changed and we were able to bring in someone who brewed here in 1999. He trained me for about 2 months and I was able to go off on my own for about a year. That was an interesting time. I wish I could drink some beers from that time. There were some different ones I was doing and I’m not too sure how good they were. At the end of that period I went over to Siebel. After Siebel I had a much better understanding of what I was doing in the brewery and how things were working. I think the main thing I got out of Siebel was a confidence boost. When I got back we started doing imperials, shortly after that we started barrel aging and not long after that I started playing around with sour beers. Those programs have been going on for 4-5 years now. 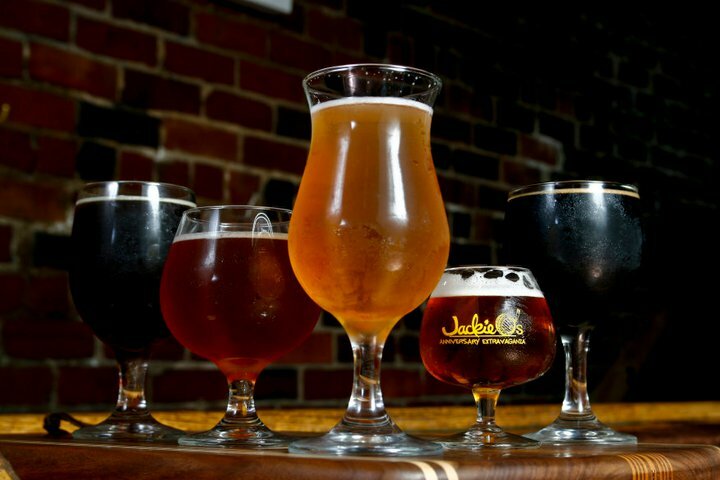 ETF-What were some of those sours you first brewed at Jackie O’s? Brad- One of the first was Chungas Oud Bruin. I had turned one of my first bourbon barrel beers which was in the barrel for about 4 months. When that beer was pulled out I took our honey nut brown and put it into that barrel. I picked up some brett cultures and things like that then just dumped them in the barrel then let it go. About 3 months in I thought it was getting sour so I got excited being it was the first one and put about 30 pounds of tart cherries into it. After about 5 months I thought it was really good and put it out. What’s funny is now that it’s progressed the second version I did (draft only) was a 9 month age and the one we sold in December (bottle form) was 24 months. I thought it was really exceptional. But you know it’s funny to see the aging times evolve and the patience that comes with experience and understanding things a bit more. ETF- Now that you’ve had the funky beer program going for a few years are you to a point where you have a special blend on hand or is it different microbes each time? Brad- I’ve got about 8 different cultures. All the Brett’s, Lambic blend, Belgian sour, Roeselare, Pedio and Lacto…I’ve got all those going in carboys. When I’m ready to inoculate a barrel I just try to think about where I want it to go: flavor production, aromatics, and the character of the beer. Then I’ll take a little pipette and taste each of the carboys. I usually go with the Brett’s first, I like to do a 2-5 month Brett starter on the barrel (sometimes I go with a blend), but just taste them and see which character I’m really digging. Then I take a homebrew racking cane into the carboy, run it around the bottom to get those big yeast plugs transferred into the barrel. I’ll top that carboy off with some fresh wort from our raspberry wheat, let it go and revisit it when I need to. I do have one thing going that’s a combination of everything, but it’s still young and hasn’t shown it’s true colors yet. I don’t know how that one is going to work out, but a lot of the cultures have been going for 3-3 ½ years. I think they’ve pick up a lot of house character. ETF- What do you think the house character is showing in these now that it’s been 3 years? Brad- It’s definitely more expressive…a much more pungent character to it. With our house character I tend to get a lot of nice leathery notes. But with our house bacteria strains, mainly the lacto it’s really strong now. When we do our Berliner Weisse I basically take the wort from the raspberry wheat and split that off into these 2 tall 15 gallon corny kegs (we call them Scuds). I’ll have one of those with the lactic culture in it I fill up to do the lactic ferment. Then I have another one with Brett C that ferments as well. After a month I can blend them together and get this really nice acidic funky Berliner Weisse. By keeping the lacto strain going I tend to get a very nice clean sour character. But I’m also a big fan of Brett C, I like all the tropical fruit aspects that strain brings to the table so that one gets used quite often. ETF- Being that Jackie O’s is in a college town I would think most of the new customers probably haven’t been exposed to all these different styles of beers before. I’m curious how accepting and open they are to these beers? Brad- It’s always interesting seeing how people react to sour beers or Brett beers. It’s funny because sour really isn’t a flavor or aroma we really find in American food. It really doesn’t exist in our food palate so the reactions are interesting. We brought our Berliner Weisse to the American Craft Beer Festival and even the reactions there were people totally disgusted by it and people just hanging out getting sample after sample of it. But in town it works out pretty well, they don’t fly out of the taps…30 gallons of Berliner will hang out for about 2-3 weeks. There’s definitely people who love it, some that don’t care for it and always a couple who are just blown away by it who ask for more sour beers. It’s hard to explain to them I can’t just crank those styles out. ETF- Some of your bottled beers are very limited runs of 100-200 bottles. Do you hand bottle or are you using a machine? Brad- Yeah it’s pretty much hand bottling. We have HDP single head filler that we can do 12oz or 22oz bottles on. So we fill on that and I’ve got an Italian pneumatic capper so we get that hydraulic crimp on the cap. If we are cruising along we turn about 8 cases an hour, so nothing outrageous by any means but it’s a lot of work. 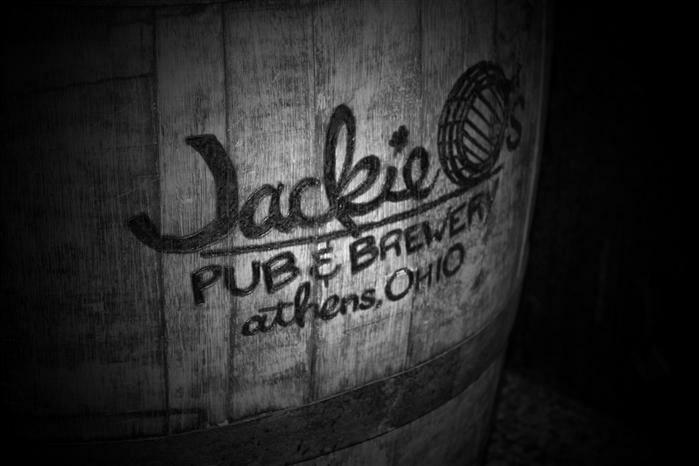 Bottling has done amazing things for the Jackie O’s and getting our name out there. It’s definitely time consuming, but definitely worth it. 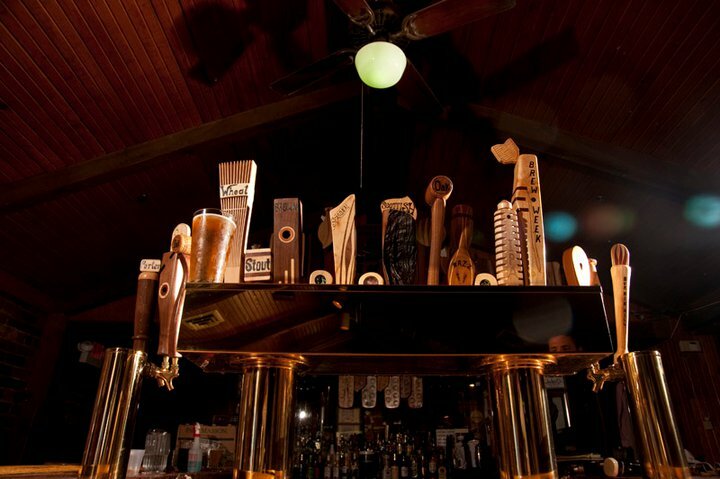 ETF- Of your accomplishments at Jackie O’s, what are you most proud of? Brad- From the beer standpoint it definitely comes down to the sours we’ve done. The Dynamo Hum and the most recent Cellar Cuvee 6 which is a sour peach beer. I’ve been really really proud of those, they were 2-2 ½ year aged beers. They were both single barrels so there was no blending involved. I’m just really proud of those because they took so much time, care and came out so well while being generally received very well. That always feels good. From a brewery standpoint, I’m proud of what I’ve been able to do. I have complete freedom to do whatever I want here. I’m glad I’ve been able to take that and run with it. ETF- I think it’s pretty fantastic that you guys were able to take a failing brewpub, turn it around in a fairly short amount of time and gain name recognition so quickly. 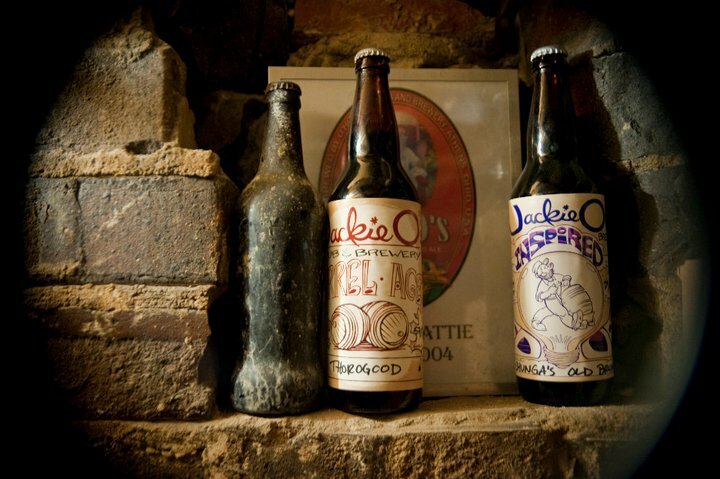 People in the beer world know the name Jackie O’s, even if they’ve never sampled a beer from you they know the name. Brad- Yes It’s been almost 6 ½ years now since the transfer over. I remember distinctly when I was starting here my first all grain batch. It’s been a crazy learning curve because there aren’t any other brew pubs in Athens. 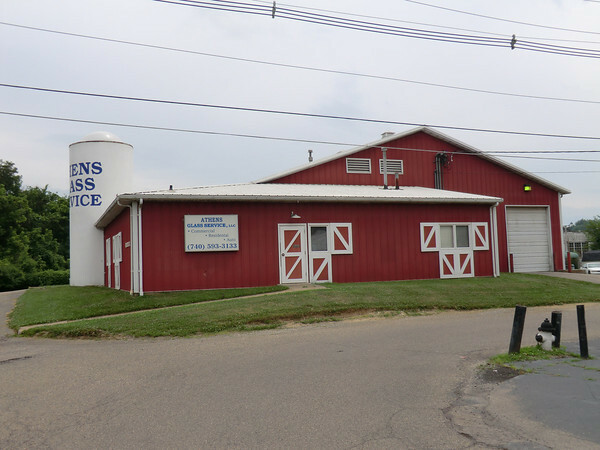 The was a brewery in Marietta which is about 45 minutes away, a couple breweries an hour away up in Columbus and we were kind of in the middle of nowhere. So I didn’t have a lot of interaction with other professional peers. It was probably good too because I kind of jumped into the brewer role, but I was cleaning kegs, cleaning tanks, filtering, brewing and cellaring all at once. When I started I remember wanting to make the beer a lot better than it had been, that was my main goal. In that time I grew as a brewer and the business grew with me. We bought the building next door to us, opened up a restaurant space, added 20 taps, expanded our patio (about 2 ½ years ago). In the past 6 months we’ve bought a 7,500 square foot building and in June the 20bbl brewhouse and 40bbl fermentors will arrive. We also bought a canning line which should be showing up soon. Hopefully in the next year and half we will be statewide, so hopefully our name in the business will continue to grow. It’s wild thinking back on all that’s happened, I never imagined anything like this. Things like bottling beer, having beer releases, the online beer community presence are things I couldn’t fathom would be possible especially in this amount of time. ETF- The expansion is very interesting to people wanting to try the beers, how much more beer will you be producing and where will it go? Brad- We’re able to self distribute here in Ohio, so we are going to self distribute. We are huge advocates of “if we can do it ourselves then we will do it ourselves”. Plus if it helps to create another job or two in the community then that’s definitely what we are going to do. If that means buying another truck or van then we are going to make that happen. We’re going to watch our growth as we go out into the state. We have this main territory which will be Marietta to central Columbus and will be our first main run. I’m not too sure how much they will consume, it’s hard to tell, but I think we will be on track to do about 4,000 bbl out of the new facility in the first year. We picked up this canning line out of the blue. We weren’t planning on having any sort of packaging or shelf products out of that facility for quite a while. Now we will be jumping on that right away and we will see how fast it starts growing then. ETF-So we can look for some canned sours right haha? Brad- Haha!! Probably not…the plan is once we start getting some nice cash flow going and get a bit cozier over there we’ll pick up a 6 head Meheen 750 bottler. We’ll mainly focus on doing our Imperials, Belgians, and barrel aged beers off of that line. We will probably purchase that line when the first batch at the new facility (most likely Bourbon Barrel Dark Apparition) is ready/finished. As far as the souring goes at the new facility I keep saying I want to wait to get that going. I’d really like to have a true isolated room for it, but I’ll probably sneak some stuff in there pretty fast. 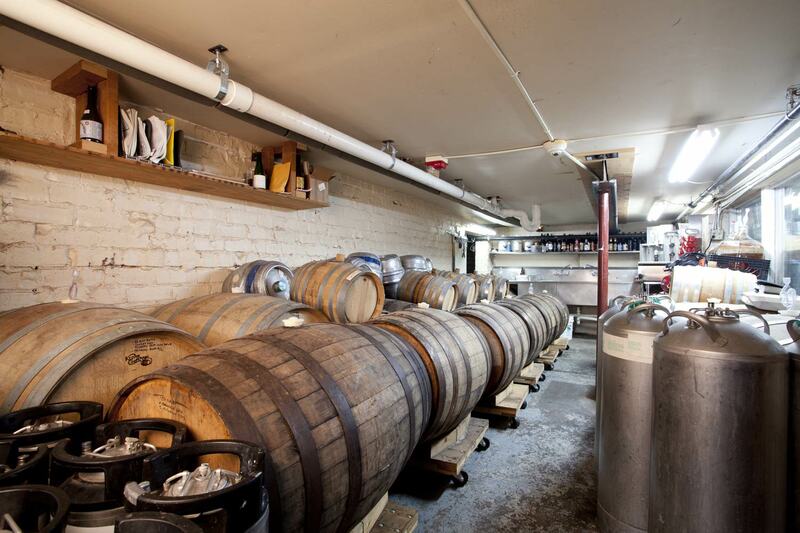 I’d like to have the brew pub basement/cellar become pretty much all sour beers. But we’ll see, that’ll be up to the new pub brewer when he starts getting comfortable here. 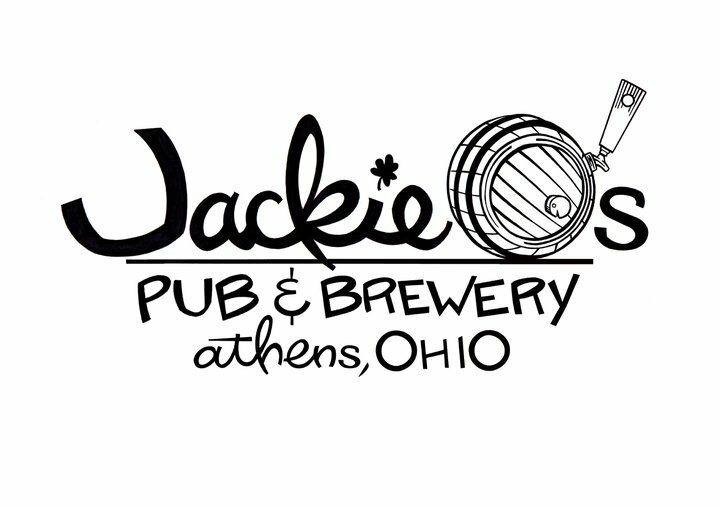 ETF- What’s the most adventurous project you’ve done so far at Jackie O’s? Brad- Brewing sour and non-sours beers. I’m real picky on having a separate set of equipment for all my sour stuff. I’ve got separate tanks and other stuff for them so I’m sure they don’t get crossed. Some of the non-sour beers we’ve done have been really interesting. We’ve also got a farm that grows a lot of produce for our kitchen, herbs and fruit for the brewery like pumpkins and squash. We did an imperial butternut squash spice chocolate porter last fall. It had 7 different spices, 100lbs of locally gown butternut squash and 20lbs of chocolate chips so it was a pretty rad beer. ETF- Wow that is Fall summed up in a drink..how was it received? Brad- Really good, it went over surprisingly well. It had an interesting spice combination a few were: ginger, coriander, chilies, star anise and cinnamon. It didn’t have that typical pumpkin spice blend. It was more of an Asian or Indian food type influence character which played off the chocolate notes. Even with all that the squash notes were still able to come through in the beer. Another one is the Oil Of Aphrodite which is our imperial walnut stout. That one is made using locally harvested black walnuts and dark Belgian candi syrup. We also make Dark Apparition which is our regular Russian Imperial Stout. This was my departure from the style a little bit, sort of my riff off of it so I tried to use a different batch of ingredients like different malts to give it a distinctive type of character. That one’s been really well received. We’ve also got the rum barrel version of it and I have a version of it in the rum barrels with Brett and raisins that’s been going for almost a year now. It’s a pretty wild beer that I’m trying to let go as long as I can. ETF- What strain of Brett is in that one? Brad- I used Brett C on it. The idea behind that was to play off the tropical feel of the rum by adding some of the pineapple character from the Brett. I find that in the rum barrels we use and the amount of time they sit, they give off this candied orange almost Grand Marnier character that can be pushed and played along with. ETF- Whose rum barrels are you using? Brad- We use the Old New Orleans Rum Distillery. So far I’ve been able to get their 10 year reserve barrels which I think helps to add that wonderful orange character. 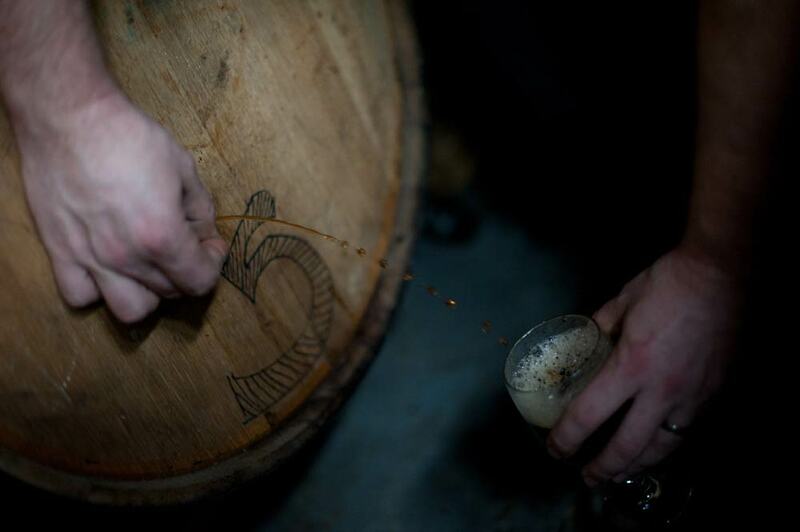 ETF-How many wood barrels of sours do you have going right now? Brad- We have 37 barrels total right now, 24 are sours and 13 are non sours. 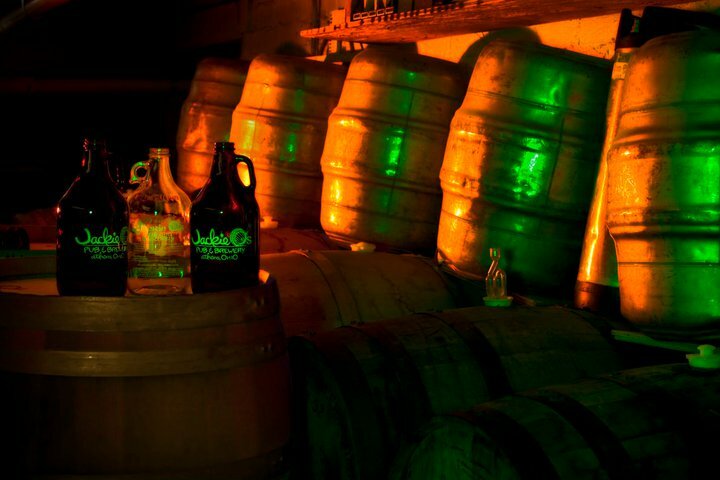 ETF- Obviously you barrel age a lot of beers, what advice do you have for people trying their hand at barrel aging? Brad- I think it’s important to choose your beer wisely that’s going into the barrel. If you are able to design a beer for the barrel, meaning that it’s going to have a lot of dextrins in it some residual sugars after the primary ferment. We’ve put just about everything into a bourbon barrel and there’s been a few times we thought yeah we should never do that again. Like our nut brown and porter they were just not big enough. They lack that body and character that it takes to stand up to the barrel. 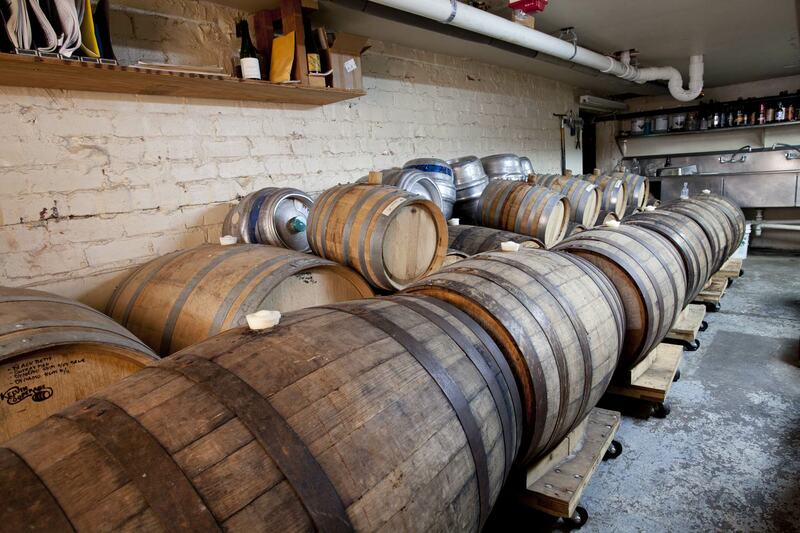 Getting barrels that are fresh and wet is extremely important. If they’ve been sitting around drying out you are going to get leaks and infections. So we always get ours while they are wet. I don’t rinse them or anything like that, I just put the beer straight into the barrel. Also time is key. Let the barrel do what it’s going to do and don’t rush it. You will get better results by waiting and letting the flavors really meld, develop and mellow. ETF- What do you think is the biggest misconception about sour and wild beers? Brad- I think the obvious one is concerning Brett and what Brett actually does in a beer. Some assume just because Brett is in a beer the beer is going to be sour. Basically just not understanding what Brett does and what it lends to the beer as far as aroma, flavor and even texture. I think there’s been some problems with breweries having beers go bad and releasing them under the guise it was an intentionally sour beer. I think that’s created some doubt in people’s minds. I’m not sure if that’s really a misconception but it’s an issue about how wild beers are perceived. The perception is constantly evolving. And I guess we are still trying to figure out what to call some of them haha! ETF- Advice for the person getting into sour brewing? Brad- I think it’s really important to design the beer recipe to be soured. Meaning that you will be mashing higher to get some good fermentables/food for the Brett and/or the bacteria. This will help you get more sour character. For the first run just keep the recipe simple with nice blonde or red. You just need to be super patient and forget about it. Check on it, but if the beer is not there yet…then wait another 6 months. ETF- What would you say to sharing a Jackie O’s recipe for all the people who can’t get your beers and to help newer sour brewers with something solid? Brad- Sure. How about the Dynamo Hum? The base beer is our Razz Wheat (raspberry wheat ale). After ferment, chill the beer down and add 1/2lb of raspberry puree for every gallon of wort. Keep beer cool for 5 days. Trasfer the beer into a cabernet barrel. 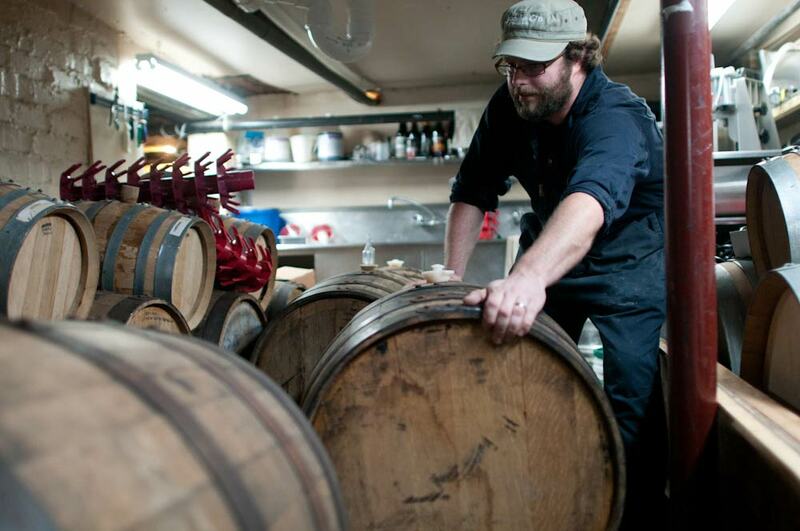 Once in the barrel, add Brett B and Brett L. Allow Brett to ferment for 2 to 5 months. After the initial brett ferement (2 to 5 months,) add pedio and lacto cultures. At 1 year, add 1lb of fresh raspberries per gallon of barreled beer, preferbly locally harvested. Give the raspberries a gentle rinse and add to the barrel. At 2 years, add another does of raspberries, 1lb per gallon, let the beer age for an additional 3 months and then package. Make sure you follow Embrace The Funk on Twitter and Facebook! Until next time Cheers! Great interview! I just purchased a five gallon bourbon barrel from Balcones Distillery. What is the best way to pull a sample from the barrel? I’d hate to expose the beer to oxygen by opening the bung. I keep seeing those little holes on the side of the barrel from which people draw samples (like in the fourth picture from the bottom). Do those barrels come outfitted with that feature? Is this something I could add to my barrel? We drill a hole using a 7/64 drill bit on the barrel head of each barrel. The hole can be drilled while the barrel is empty or even with beer in it. they are pretty snug in there. there is no issue. It is such a small hole that you can’t harm the barrel. half way up on the barrel head. I’m pulling samples just in case you drop the nail on the floor on accident. Wow! I guess I’ll be hittin’ up the hardware store tomorrow. As always, thanks for all of the wonderful information! Does jackie o’s distribute their beer outside of ohio? Have they made it to eastern pa? Odd that he adds the lactic acid bacteria so late in the game. Nothing for them to eat at that point but the fructose from the raspberries. Never had their beers (or at least I don’t remember drinking them if I have) but doing things this way will obviously get you a sour beer, but I wonder how slanted towards the citric (as opposed to lactic) end of the spectrum this one is? Probably heading down that way Memorial Day weekend, so I’ll have to find out first hand. That would be a good question for him when you are there. James, 2-6 months in there is still plenty left for the bacteria to “feed” on, the wort does not become absent of “nutrients” EVER. There is still malt-oligosaccharides as well as other consumables and it is not just sugar which plays the metabolic role in acid production by lactic acid producing bacteria. Proteins are another important factor. I was not aware that these bacteria feed on things other than sugar. Good to know.